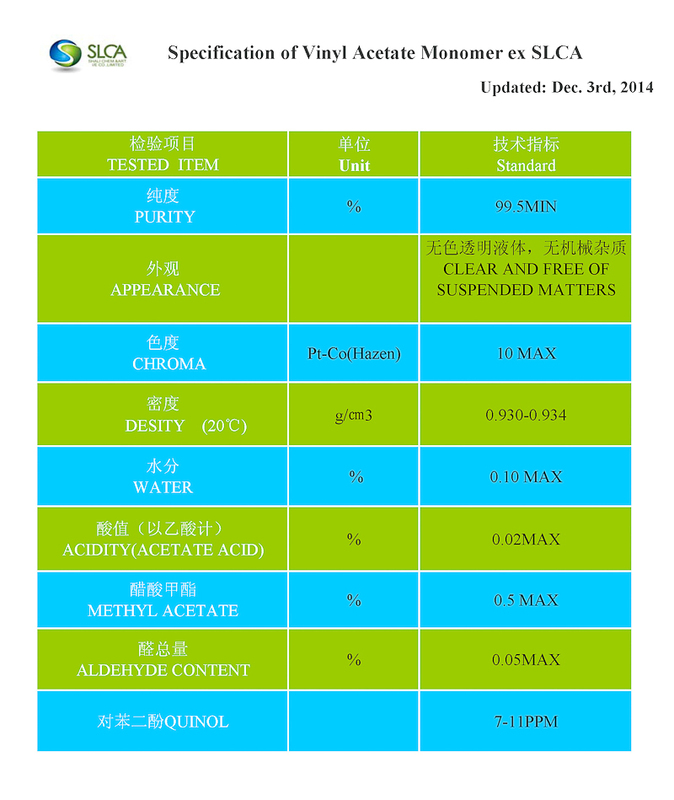 Vinyl Acetate Monomer is an indispensable chemical, which can be used in many areas of industries. 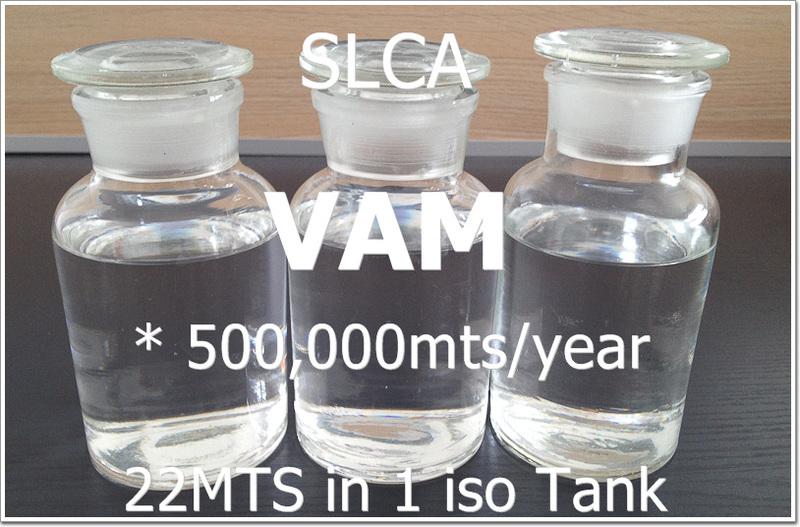 VAM is a key chemical in resins, paints, coatings, adhesives, textiles etc. i) Polyvinyl Alcohol (PVA): for textiles, adhesives, paper coatings and fiber. iii) Emulsion polymers for paints, adhesives and textiles. Packing: 22mts in 1 Iso-Tank. We will offer you best price with other details of product upon receive it.We are looking forward to cooperate with YOU in the near future!